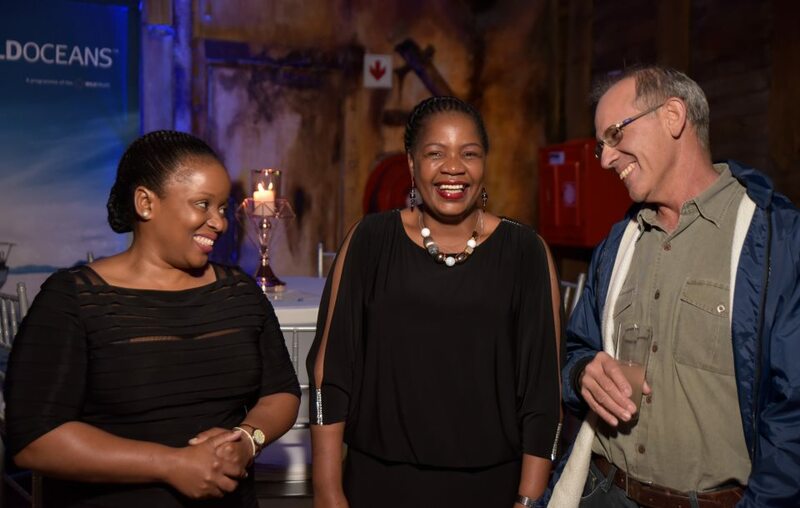 Left to right: Zinhle and Thokozani Mkhize of Ezemvelo with Bruce Mann of SAAMBR at the World Oceans Day Event hosted by WILDOCEANS at uShaka Marine World, Durban. 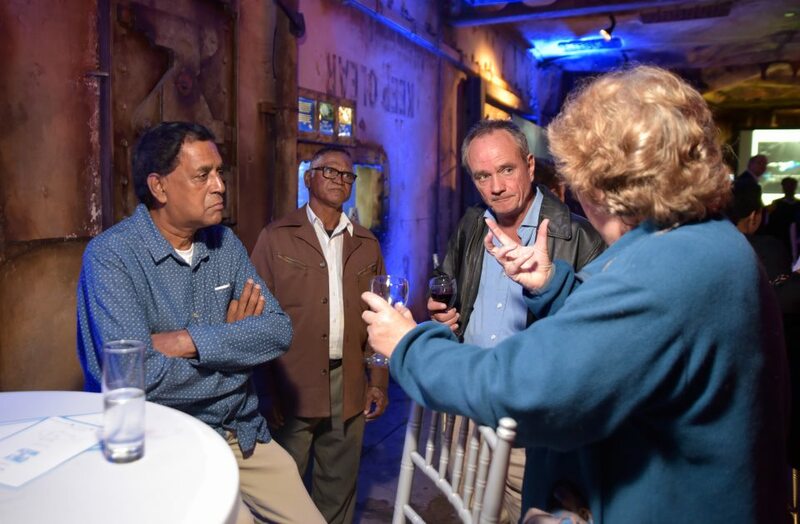 A celebratory World Oceans Day event, hosted by WILDOCEANS and the South African Institute of International Affairs (SAIIA), was held at uShaka Marine Worlds’ Aquarium on the evening of the 8th of June. The event, which featured a key note address from the Department of Environmental Affairs (DEA) Deputy Director General Judy Beaumont – celebrating South Africa’s oceans and their importance for our prosperity, was used as a platform to announce an exciting coalition hoping to advance the protection of our oceans. 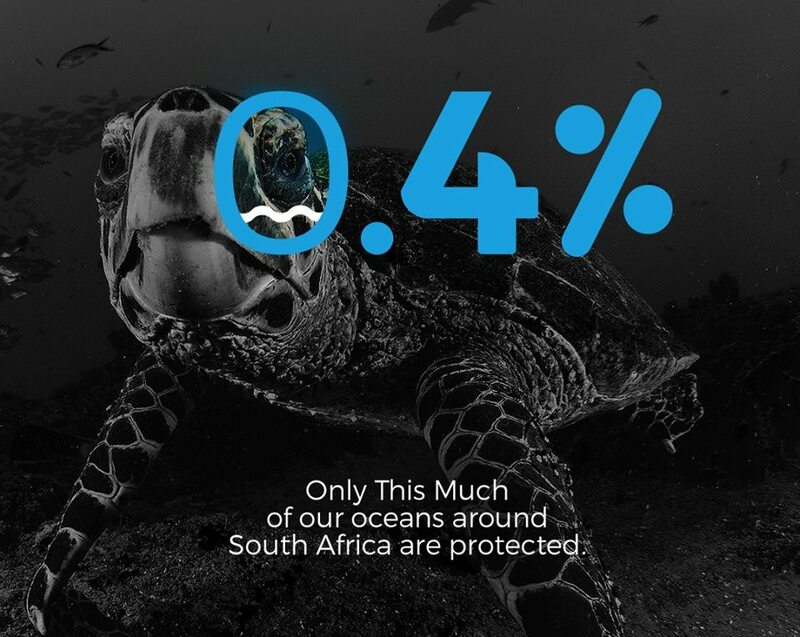 “Funded by Oceans 5 in partnership with Ocean Unite, WWF-SA, The Green Connection, Centre for Environmental Rights and the South African Association for Marine Biological Research (SAAMBR), this coalition hope to gain strategic wins for marine conservation in African waters that will catalyse action across the region,” said Dr Jean Harris of WILDOCEANS. “DEA welcome the support afforded by this coalition,” said DEA DDG Judy Beaumont. 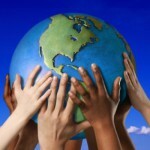 An exciting advocacy and awareness social media campaign called “Only This Much” is also aligned with the coalition. “We hope to mobilise a regional movement for increased protection across all African national waters and Africa’s Southern Ocean territories, aimed at meeting the current MPA target of 5% before the end of 2018 and 10% by 2020, but paving the way to African states supporting a global target of 30% strongly protected by 2030,” commented WILDOCEANS’ Lauren van Nijkerk. 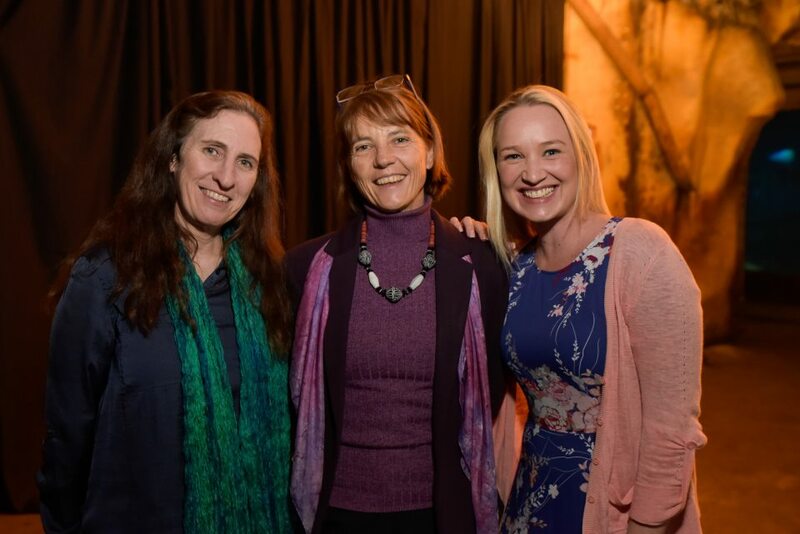 Left to right: Dr Jean Harris (WILDOCEANS), Judy Beaumont (DEA) and Lauren van Nijkerk (WILDOCEANS) are excited about working together to advance the protection of our oceans. 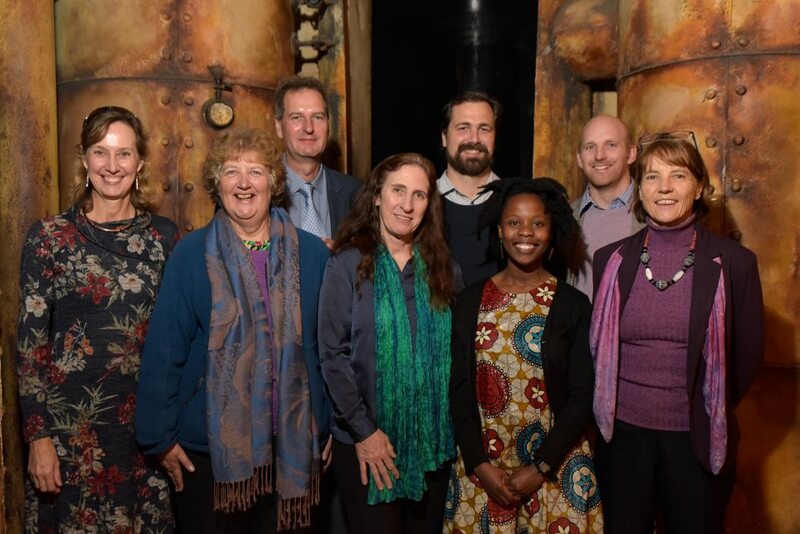 Left to right: Judy Mann Lang (SAAMBR), Liz McDaid (The Green Connection), Dr Andrew Venter (WILDTRUST), Dr Jean Harris (WILDOCEANS), Alex Benkenstein (SAIIA), Sizo Sibanda (UCT), John Duncan (WWF SA) and Judy Beaumont (DEA) are all playing a strategic role in the future of our oceans. “Given the role of healthy oceans in supporting an ocean economy, it’s critical that we address the fact that we’re currently only protecting a tiny fraction of our ocean space. 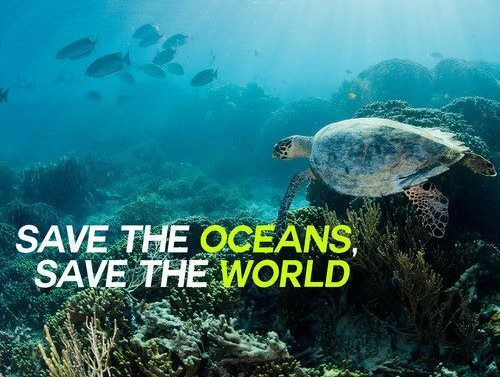 We urgently need to scale up our MPA network to secure the underlying marine ecosystems which underpin economically and ecologically sustainable development,” said John Duncan, Senior Manager of the Marine Programme at WWF SA. Left to right: Desmond D’Sa of South Durban Community Environmental Alliance (SDCEA) in discussion with top environmental journalists Tony Carnie and Liz McDaid. 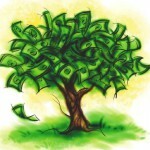 “The Green Connection believes that sustainable development can only be truly sustainable if all affected are involved in decisions that affect them,” said founder Liz McDaid. Make ethical and sustainable seafood choices – follow WWF SASSI to check. Ask your local supermarket why they haven’t banned plastic bags yet.